Gilbert's Truths used by permission. Copyright © 1986 by Howard M. Levine and Kevin D. Padrick. All Rights Reserved. All content, code, and applications contained on this Web site, and under the domain SussmanShank.com, is protected by copyright, trademark, and/or patent. 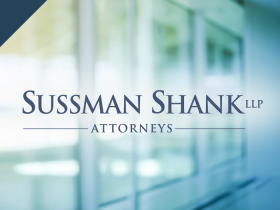 Web site visitors may not reproduce, copy, or redistribute content or code in any form without the express written permission of Sussman Shank LLP and/or its developers.